What’s the Point of Ritual? I teach Introduction to Judaism classes for adults who want a basic education in Judaism. One of the temptations in planning such a class is to focus primarily on the “how to” aspects: how to keep Shabbat and holidays, how to hang a mezuzah, how to have a proper Jewish wedding or bar mitzvah, how to keep up in the service. Certainly it is important for people to feel comfortable and competent in doing those things, but if that’s all I teach, I’ve not done enough. And then we specify the mitzvah we are about to do. Often the words of the formula fly by as we focus on the mitzvah we are about to do, but there’s something important in there: the point, in fact. The point of mitzvot, the point of reading the scroll of Esther or sitting at the seder table or studying Torah is to sanctify us and to remind us of our role in this world. Some mitzvot are incomprehensible (Why avoid mixing linen and wool? Why wave the lulav?) but even the most mysterious of commandments encourage me to be aware of the world, to pay attention. They push me to stop and see, to wake up and notice. Combine them with Jewish study (another mitzvah!) and they direct that wakened awareness to the pursuit of Jewish virtues: towards lovingkindness, hospitality, humility, compassion, and justice. We are entering the spring season of ceremony: Purim, then Passover, then Shavuot. We are approaching an annual opportunity for transformation. If we enter this time with an open heart and mind, then we can indeed be “sanctified by mitzvot” and become the hands of goodness in this world, seeking justice, defending the defenseless, finding hope for the destitute. Whether we are beginners, in our first “Intro” class, or old hands at the Jewish holidays, let’s open our hearts and our minds to the meaning of these festivals, and transform: first ourselves, and then the world. Posted on February 25, 2014 Categories Mitzvot, Studying TorahTags holiness, Isaiah, mitzvah, prophets, Ritual3 Comments on What’s the Point of Ritual? “Baruch Dayan HaEmet” – Why Do We Bless God When Someone Dies? 1. If there is a ritual formula to say when I get shocking news, I am less likely to say something inappropriate. 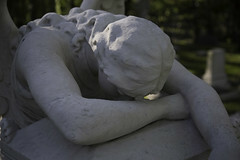 Death is solemn, and even when it is expected, it can be a shock. People say stupid things when they are shocked. Having a script for the first few moments can be very helpful. 2. The statement acknowledges that I do not know the sum of that person’s life. I am not qualified to stand in judgment upon them. By saying that only God is so qualified, I either affirm faith that God is the only true judge, or (if I am not a believer in a personal God) I acknowledge that only God, if there were such a person, can sit in judgment. 3. Making a statement of humility (“I cannot judge”) reminds me not to say something stupid with my next words. 4. If the death is tragic or inexplicable, it is a way of saying, “I do not understand how this could have happened” without starting a conversation about the possibilities. It keeps us away from platitudes that might get in the way of healthy grief, or other statements that might be unhelpful to the mourners. 5. The longer form of the blessing appears first in the Mishnah Berachot 9:2 (“Blessed are You, Eternal our God, ruler of the Universe, who is the True Judge.” We are told in that Mishnah that this is a blessing to say at the reception of any bad news. Rabbi Louis Rieser teaches that this is a way of acknowledging the Presence of God at a moment of high emotion, when we are most overwhelmed by loss. 6. The moment of death is a time when no words suffice, but we human beings are relentless with our words. By providing a simple ritual of humility with many possible interpretations, Jewish tradition gives us a container for our words at a time when they can do terrible harm. There is no need to say anything more, after “Baruch Dayan HaEmet” – ultimately it says, I have no words for this. We stand with the mourner or stand as a mourner in the presence of the greatest mystery of life, and with these words clear the way for the long process of grief. Posted on December 7, 2013 July 30, 2018 Categories Jewish Living, Jewish PrayerTags baruch dayan emet, blessings, Death, grief, Jewish funeral, mourning, Ritual12 Comments on “Baruch Dayan HaEmet” – Why Do We Bless God When Someone Dies? Image: A Jewish man prays from a prayer book. Photo by 777jew. Judaism is full of small rituals, and sometimes those little rituals can make newcomers to the community feel like outsiders. If you are the one who doesn’t know why the person you are talking with suddenly breaks out with “Pooh, pooh, pooh!” it can be alienating. I was taught to do that by Rabbi Ben Hollander, z”l, when I was a first year student in rabbinical school, in Jerusalem. He taught me that there are words in the prayer which refer to the gathering in of all the scattered Jews of the world, so I should gather up my fringes and hold them during the Shema, as if gathering up the Jews myself. As for covering my eyes, I do that because there is a story in the Talmud (Berakhot 13b) where Rabbi Judah the Prince covers his eyes to concentrate while he says the Shema prayer. Since then, we cover our eyes at that point – either to concentrate, or to emulate a great rabbinic soul. Are any of these things necessary in order to be a good Jew? No. However, when you are curious about something you see someone do, ask! If you find the practice meaningful, you may want to adopt it yourself. Learning is a mitzvah. Rabbi Hillel said in Pirkei Avot, “The shy will not learn.” So ASK! If there’s a ritual you’ve seen and wanted to ask about, feel free to ask here! If I don’t know, I will have a good time looking it up or … asking someone! P.S. – There may be things you wonder about in this article. I have tried to link each of them to a good explanation. Just click on the link to learn. If you still have questions, ask!